This month I played along with the subscriber challenge! 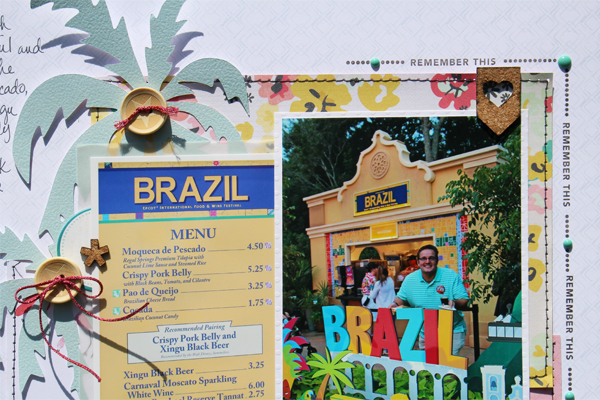 This is where the Scraptastic Club subscribers issue a challenge to the designer team members. This is a fun one because the subscribers get to see projects specifically that interest them and the designers get a creative push. 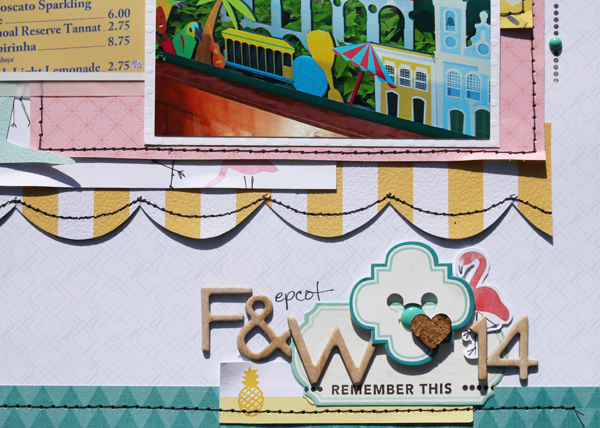 This month, the subscribers have challenged the designers to mix 2 main scrapbooks up to create a project. I chose to mix the "Summertime Rolls" Main kit with the "Wednesday Night" Main kit along with the "Elastic Hearts" stamp set . The colors coordinate perfectly. I hope you will go see what the rest of the design team created HERE. I used my silhouette to cut out some palm trees and added the cute wooden buttons to the centers because they reminded me of coconuts. You know I have to add a hidden - or not so hidden - mickey to my disney pages so I used a small punch and punched thru one of the label stickers. Before punching thru a sticker, attach a small scrap of tissue paper or computer paper where you plan to punch, or you can rub the back with baby powder. I mounted the sticker with foam tape.